Chelsea striker Alvaro Morata has revealed he has been watching Didier Drogba's DVDs in order to improve his goal scoring form. The former Real Madrid man has made an impressive start to his Chelsea Career, but has found the net just once in his last five matches and was rested for Tuesday's win at Huddersfield with Antonio Conte opting to select Eden Hazard as the N0 9 for the night. 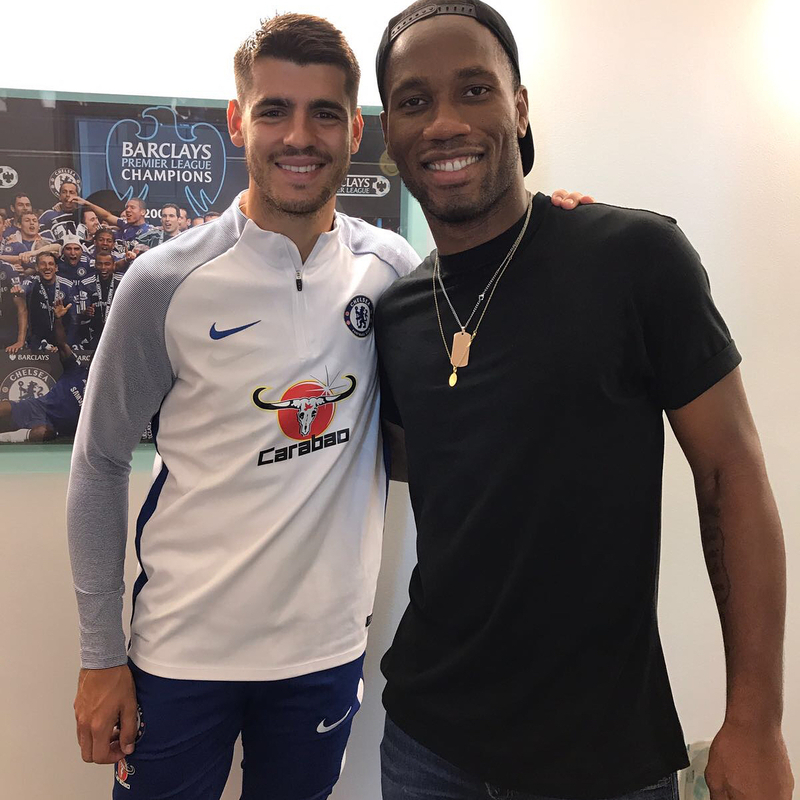 Alvaro Morata, who has scored 10 times in total since his move from Madrid, requested footage of Drogba upon joining the club in the summer and reveals he still studies the former Chelsea man. "I put it on at home so I improve with Didier,' he told Chelsea's club magazine, before explaining why he has been prolific in the air this season, with six of his goals having come from headers. "When I was seven or eight, I got a trampoline. My dad used to say to me all the time, 'come on with the head' and then pass the ball to me as I jumped. I really think it's helped my heading game because I practiced this all the time with my dad.